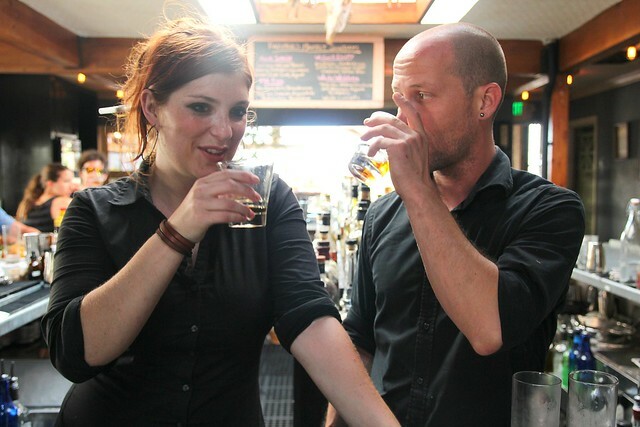 Eveleigh bartenders Kiowa Bryan and Kevin Tidwell "testing" out the ingredients. 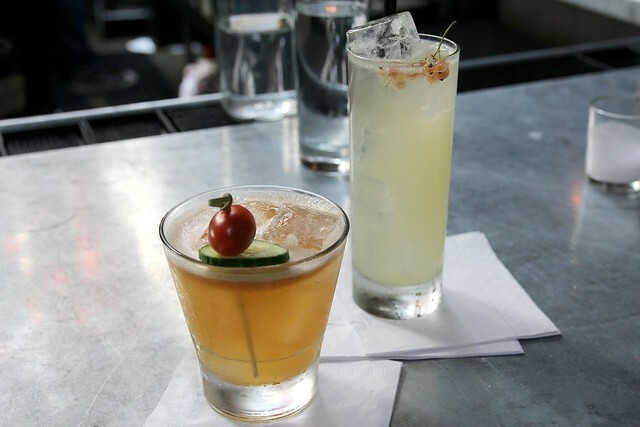 Forget seasonal cocktail menus where the drinks are updated every three or four months tops, The Eveleigh (one of my favorite places for brunch cocktails as a matter of fact) in West Hollywood is taking it to the next level with their Farmers Market Sundays, which kicked off last night. Each week starting at 5pm on Sunday, bartenders David Kupchinsky (Tar Pit), Kiowa Bryan (Lexington Social House) and Kevin Tidwell (Little Dom’s) keep things fresh by coming up with new farmers market cocktails based on what’s currently in season at, you guessed it, the farmers market. This past Sunday was Kevin’s menu which showcased white currants, Oro Blanco grapefruit, cherry tomatoes and more plucked from the Studio City Farmers Market. Yolie Smash and White Wedding cocktails. Yolie Smash: Serrano-infused mezcal, Pimms, cherry tomatoes, cucumbers, lime juice, agave. This would be a great alternative to a Bloody Mary if you’re looking for something spicy, potent and not as tomato-ey. We Can’t Elope: Cachaca, cantaloupe, lime juice, cane sugar, cayenne salted rim. Don’t be fooled by these melons, this drink is actually not all that innocent thanks to the powerful kick of the cayenne salted rim. It starts off light and sweet but bites you in the end. White Wedding: Tequila, yellow chartreuse, Oro Blanco, cane sugar, bubbles, white currants. Another one where the name fools you into thinking this is a drink for tasting at bridal showers. Not light nor fruity. But bitter, thanks to the grapefruit and a buzz that sneaks up on you courtesy of the bubbles. P.D. Fizz: Rhubarb-infused gin, sloe gin, strawberries, cane sugar, egg whites, balsamic reduction. This was my favorite of the day. Light and fizzy with strawberries make it the perfect cocktail to enjoy on The Eveleigh’s sunny patio. Next week is Kiowa’s turn. Hint: she’s working on a special something involving figs. Yummy! that white wedding looks damn tasty… too bad that first ingredient is tequila, to which i’m practically allergic 🙁 i wonder if it could be substituted, for say, vodka? Movoto, I don’t see why they couldn’t. Damn shame about the tequila allergy though. EaterWire : New Jeff Weinstein Concept, Rosé Opens Friday, Farm Fresh Cocktails at Eveleigh, MORE! 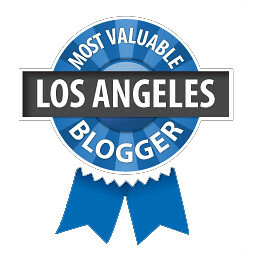 | My Los Angeles, CA Online!